This coming Wednesday evening we welcome Biggleswade United for a Spartan South Midlands League, Premier Division fixture. After what seems like a never ending run of away fixtures, Baldock return home for three home games on the bounce. Our last home match was the FA Vase encounter against Brimsdown on the 13th October and you have to go back as far as the 22nd September for our last home League fixture (I was very tempted to add travel details of how to get to the New Lamb Meadow just in case anyone had forgotten where it was!). 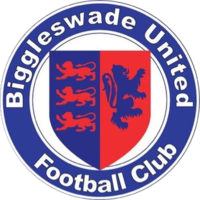 Biggleswade United currently occupy 9th position in the League table with a record of P10 W5 D2 L3 Pts 17. This is a false position however as they have played less games than everyone above them (similar to ourselves). But as we all know, the points have to be won from these games in hand to rise up the table. United come here in fine form, having won 4 of their last 5 matches and drawing the 5th (see below). Even though only one of these games has been away from their Second Meadow stadium, it is still an impressive record. When we visited Second Meadow in a League match back on the 8th September, it ended in a 1-1 draw. Kim Forsythe gave the Reds the lead in the first half with David Parkinson equalising for United in the 2nd period. We will also be entertaining United on Wednesday 14th November in a Premier Division Cup tie. Do you think anyone will actually notice if I just copy and paste this preview for that one?